Will your class escape in time? Try this escape room style game with your students today! This is a fun game that is perfect for reviewing the concepts of sound. Vocabulary words students will review or should be familiar with are: pitch, volume, sound waves, echo, and vibration. This game is unique from my other escape rooms, because it focuses on STEM. 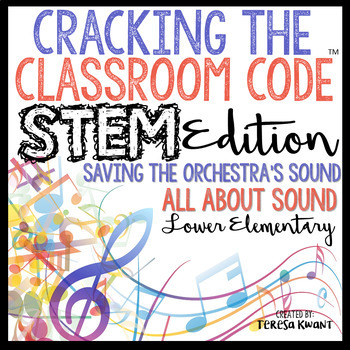 Students will be learning about sound, and then must create an instrument at the end of the game to save the orchestra’s sound. This is an interactive game where the students are timed. The orchestra has lost its sound and won’t be able to complete their concert if it is not found in time! 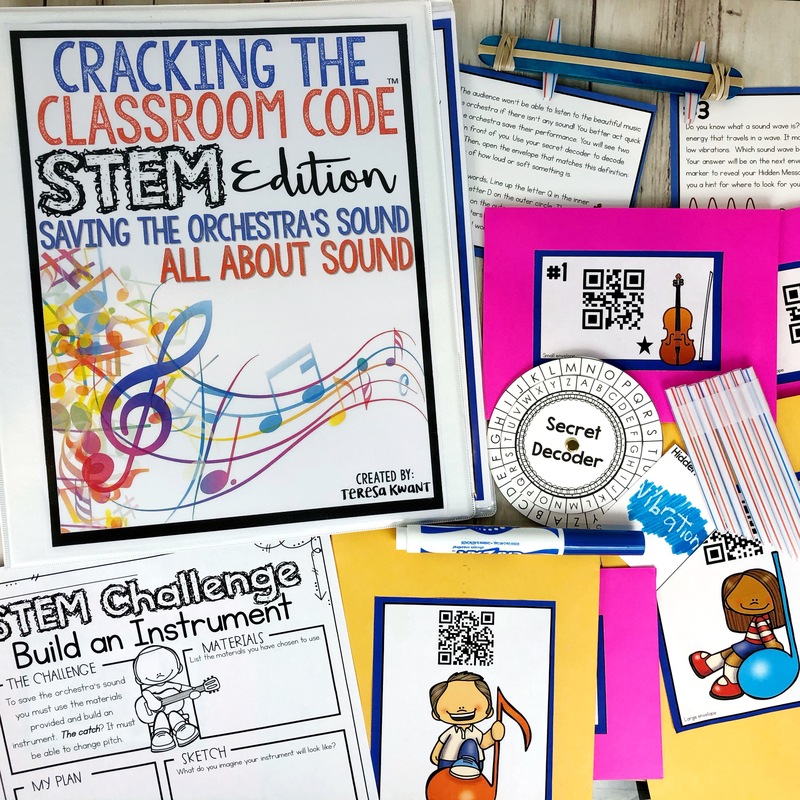 Students must complete the questions and challenge to help the orchestra find their sound. Students will also solve a string of questions and clues, as well as decode different ciphers. If your class has never played an escape game before, I suggest playing this as a whole class. However, materials are provided for up to 6 different groups to play at one time. You can decide how much time your students have to complete this task. I suggest 60 minutes, but it is up to your discretion. You can project a timer for your class, or put one somewhere for all the students to see, so they can keep track of how much time they have left to complete their task. *Everything is included, however teachers must provide their own envelopes and STEM materials. **This escape room differs from my other escape room games, because the game is shorter to provide students time to complete their STEM challenge. However, setting the game up is similar to all my other Cracking the Classroom Code™ escape room games.